I have a range of email accounts setup in mac mail, mostly google apps for business gmail accounts and iCloud accounts. I have 1 custom hosted IMAP / SMTP account which for some reason is showing a "square icon" (see below screenshot) in the sidebar for the sent mailbox. The inbox mailbox for this account works, but the sent doesn't. Any ideas why this might be and what the square icons means ? Browse other questions tagged mail.app email imap . How can Apple Mail be configured to mimic Gmail's “Archiving” behaviour for a generic IMAP account? 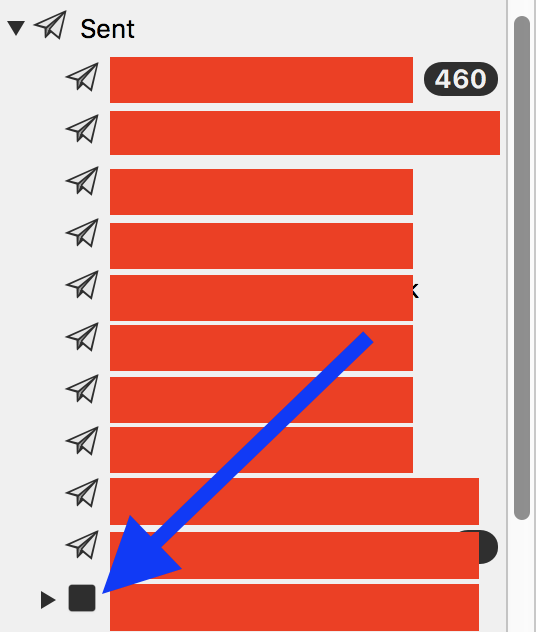 mac mail slow with allot of emails, best way to optimise ?